There is no swimming pool or free water or breakfast. There is the most friendly staff. You are a 5 minute walk to the beach. Their convenience store is right there with very fair prices and the beer is as cold as it possibly could be. For the price it cannot be beat! Family owned and run and they treat you like visiting royalty! The small hotel (12 rooms) has a quiet ambience and lovely grounds. Rooms are small and plain but have everything you need. The beach is a short walk and if you go left you can dodge the beach chair police at the hotels. The staff are helpful and very friendly. Highly recommended! The place is managed by a young gentleman Duc and his mother, it is conveniently location, maybe a 5 minutes walk from the beach with some very nice beach restaurants and a few bars. The hosts are very kind and responsive to any request we had. It also has a makeshift workout area with spin cycles and some weight training equipment. They recommend you make no noise so as not to disturb the peace and quiet of the place and rightly so. 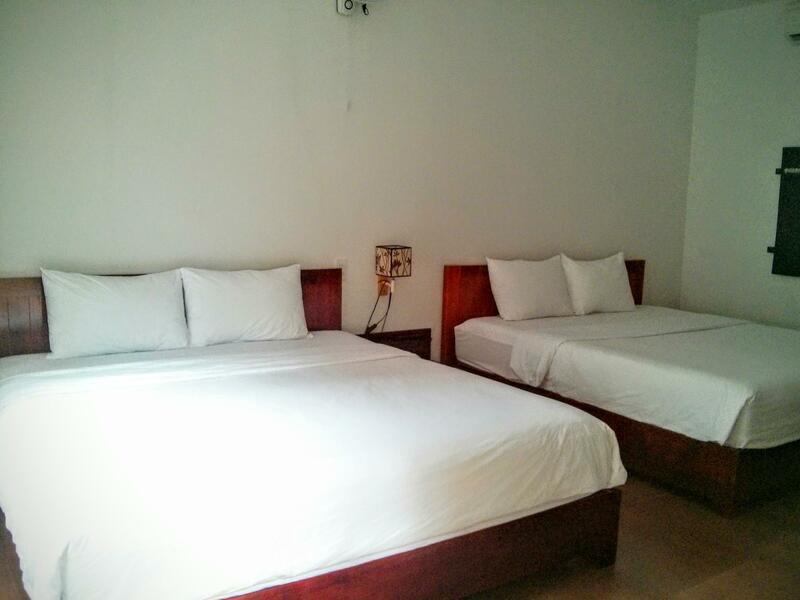 The rooms are very clean and the airconditioning was in perfect order. There are enough toiletries in the bathroom as well. I stayed in Sunshine Bungalow with a group of friends at the start of January this year. The rooms were great and the beds very comfortable. The staff that run Sunshine Bungalow are great, it is a family business. I would highly recommend Sunshine Bungalow. Sunshine Bungalows was very clean with kind and attentive staff always willing to assist. The room was very basic. The bed and pillows were the normal SE Asia super firm. The shower was in a tall bathtub with no curtain or door and it was impossible to shower without getting the polished tile floor wet and very slippery and dangerous. The beach is a 2-3 minute walk away which is nice. There are a number of resorts right on the beachfront who refuse to let non registered guests use their sand or even their water. We were told to leave a couple of spots in front of resorts even though Vietnam’s beaches are all supposed to be public. It was an issue and we felt quite unwelcome on the beach., which was no fault of the bungalows, but something travelers might want to consider. The staff at Sunshine Bungalow were some of the nicest people we've met in Vietnam. I would definitely recommend this hotel for a budget traveler! I enjoyed my stay here. The room was comfortable with a pretty garden to sit in. The beach was a few minutes away but other attractions were far away. I was sick while I was here and the owners were very kind. I recommend. The Sunshine bungalow has good decor with flower and trees. As its name, you can enjoy the sunshine in the garden that makes you feel so fresh. The location is good, 5 minutes walking to the beach. The owners are very helpful. the convenient store right outside is very good, you have everything and dont have to go far away. Worth to stay! The accommodation is near the beach, 10 minutes walking. 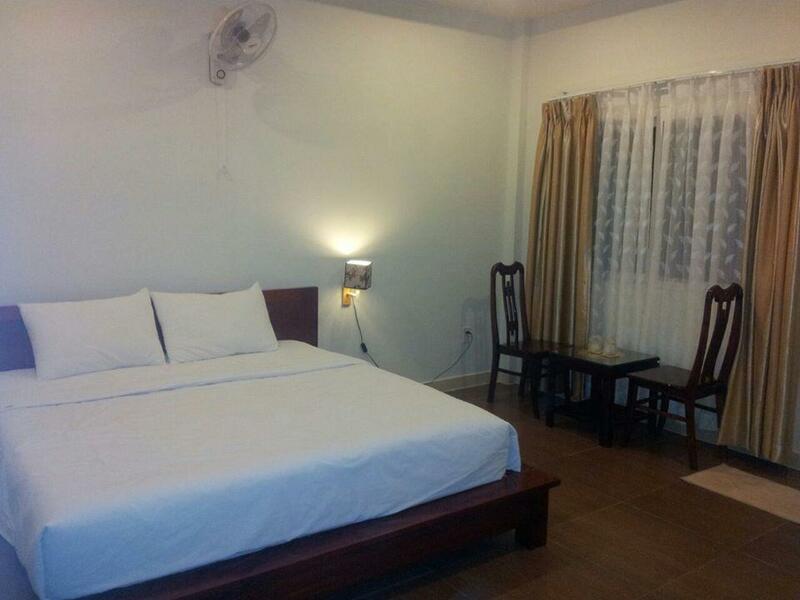 It's about 7 km far from Duong Dong town, you can take the taxi to go to the central. The room is a little dusty, you should not open the window in the evening cause there are a lot of mosquitoes. Wifi, air conditioner are available. There are some restaurants around the bungalow but no convenient store or market near the accommodation. Stayed for 5 nights while in Phu Quoc and had a great time. The bungalows are about a 5 min walk from the beach and surrounded by places to eat and drink. The family who owns the property were very friendly and helpful (always willing to answer questions, make suggestions of places to eat if needed and quick to call a cab). 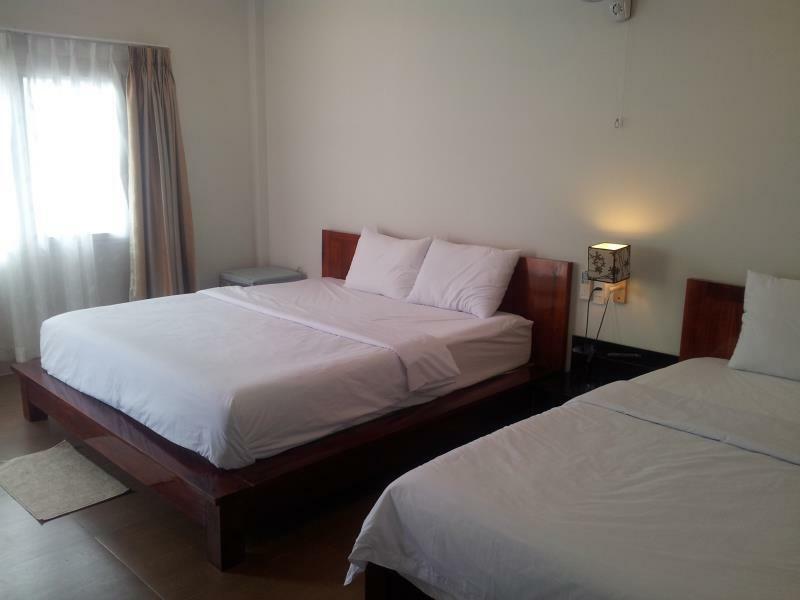 The facilities were clean, functional, and close to beach, while at a very reasonable price. We arrived with the friendly and helpful owner already waiting for us. During the rest of our stay, the friendly support from him and his family made it a pleasant experience, and strongly recommended if you are looking for a good value-for-money experience. We loved our stay at Sunshine Bungalow. The room was clean, and came equipped with towels, a safe, hair dryer, and toiletries. It is about a 5 minute walk to the beach and the main road. You can also get to Rory's, and other restaurants, very easily. We spent 6 nights here, and could have stayed longer. The family that staffs this hotel is extremely warm and friendly. They are thoughtful and were quick to bring out water or fruits if we were sitting in the common area. They also had our taxi waiting ahead of time when we were ready to leave at 5 AM. Outstanding service, something that you would expect in a 5 star hotel! I have travelled a lot in in SE Asia and I never stayed at a better place. It is run by a super sweet family who really looks after you. We travelled with two kids who got sick and the family were so kind checking in with us, following with us to the hospital for translations etc. It is also very clean and tidy place. New sheets and towels everyday. I could not recommend this guesthouse more strongly. Also, there is a benchpress and a couple of dumbbells there! We love our "family" at Sunshine! From the first moments they brought our young boys popsicles to movie nights and babysitting (seriously: wow! ), it felt much more like being cared for by extended family than a stay at guesthouse. It is a 5-minute walk down to the beach (but stop for coffee and fresh croissants on the way) and quite affordable, especially for being so good to us and our kids. Thank you! 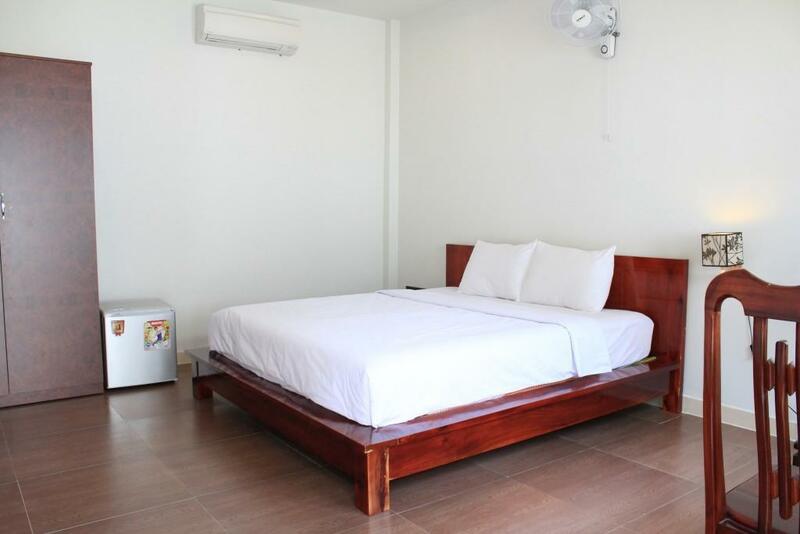 Location wise, the bungalow is quite good: close to airport, PQ town centre, and walking distance to the beach. Breakfast is not provided, but there are many good and reasonable eating places nearby. We enjoyed the fresh grilled fishes and other seafood at the opposite restaurant. The place is clean and the owner is very friendly. We have fun chit-chatting about PQ, and other things. We loved our stay here. It is a great location, close to the best bit of beach but also quiet with bungalows set in a beautifully scented garden. The owners were very friendly and helpful in every way... lots of nice touches (chilled fruit, coffee when we left and were waiting for our pick up). Comfortable beds, great shower and air con. Also they have good scooters for hire on-site plus a little shop with ice cream and other essentials(!) Wish we'd stayed longer! Run by a very friendly family, the rooms are 1 min walk to the beach and surrounded by many restaurants and bars. The only small bad thing was the smell of dump in our room and the little insect that came under the door through the gap. Otherwise, room was super clean!